This much is clear: Obamacare is massive and it's not easy to understand. Many insurance regulations and taxes are already in effect, but the big push begins Oct. 1. The goal of the Affordable Care Act is to provide affordable coverage for tens of millions of uninsured Americans, provide more comprehensive coverage, and to ultimately reduce costs. We won't know whether it hits those goals for some time, but here's how it could affect you now. Most Americans must have health insurance by March 31, 2014. A lot of people will keep getting it through work, but for everyone else, states will offer an "exchange" where people can purchase insurance from competing insurance companies. Enrollment begins Oct. 1, and coverage begins Jan. 1. Plans will be grouped by tier -- platinum, gold, silver, and bronze. The average cost for a silver plan will be $328 per month, but the government will kick in subsidies for those in need. The federal government will provide subsidies to those who earn 400% of the federal poverty level -- $94,200 for a family of four, or $45,960 for a single person. 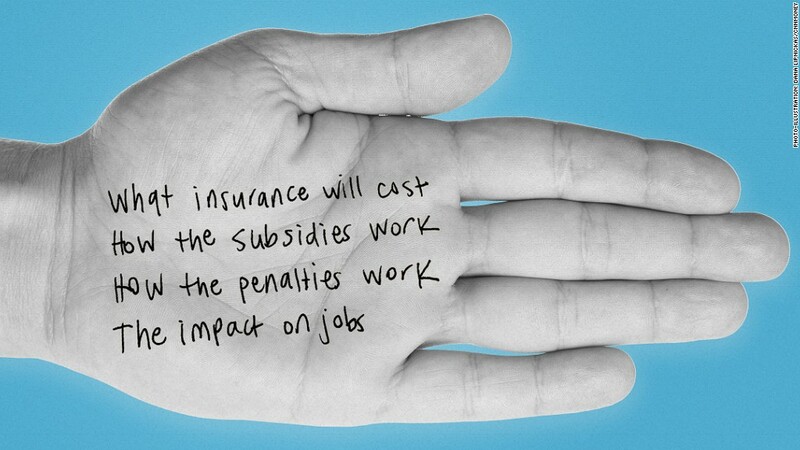 You will pay what you owe; the government will pay the insurer the subsidy directly. Policies are required to have more comprehensive coverage, including mental health and maternity care, and there could be more sick people covered because of Obamacare regulations. Those forces would push insurance rates higher. But more healthy people will sign up and there will be more competition among insurers, elements that should help lower costs. Insurers can't penalize you for any underlying health problems (except your smoking habit), so you may save if you had been paying more because of a medical condition. To compete, plans may limit you to one-third to one-half of the doctors and hospitals you might have today. If you haven't bought insurance by March 31, 2014, a penalty might be added to your tax bill: the greater of $95 per adult or 1% of household income in 2014, climbing to $695 per adult or 2.5% of income by 2016. But some people will be exempt: people who would have to pay more than 8% of their income for health insurance and poor adults who live in states that aren't expanding Medicaid. Anyone on Medicare can ignore the fuss. Employers are pulling back on benefits and they are blaming Obamacare. But companies have been shifting more of the burden to workers for years. Meanwhile, the exchanges could provide peace of mind those worried about losing their job. After a layoff, you can usually stay on your company plan for 18 months through COBRA, but that coverage is pricey because you usually have to pick up the entire tab of roughly $16,000 a year. Companies with 50-plus full-time employees must start offering them health insurance or face stiff penalties. The employer mandate had been set to kick in January 2014, but was pushed back a year. A 30-hour work week counts as full-time under Obamacare, so some started cutting worker hours to avoid the mandate. The new law's rules don't apply to the vast majority of small businesses. As of 2010, 97% of small businesses have fewer than 50 employees. A huge majority of those with more than 50 employees already offer benefits. But they could still be affected if their insurance isn't good enough or sufficiently cheap under new Obamacare rules.